Schubros Brewery is one of San Ramon's best-kept secrets. Even those who know to look for it have trouble finding it. Tucked away inside a cluster of industrial buildings off of Alcosta Boulevard, the micro-brewery and adjacent taproom are easy to miss. There's no sign above the entrance, just sandwich board signs to flag you down. Even the decal on the front window is obscured by tint. But that adds to its allure. The satisfaction of finding this place is what I imagine it would have felt like to guess the right Speakeasy password in the 1920s. But find it, Grant and I did. Eventually. We showed up Saturday morning at the invitation of Ian Schuster, president and founder of Schubros. After accidentally pulling into the post office parking lot (which apparently is a common mistake), Grant and I finally turned into the correct parking lot entrance, circled the building and arrived at Suite N on the opposite side, the official home of Schubros Brewery. We peeked in through the garage door, and just past row of kegs and tanks, spotted Schuster chatting with someone. We called out and he invited us into the taproom. The bar didn't open to the public for another four hours, so for that morning, the place was ours. Grant and I pulled up a couple of bar stools as Schuster poured us tasters and recounted how he went from being a Navy man to working as a marketing expert for a multi-billion-dollar company to running one of the most unique breweries in the Bay Area. Originally from the East Coast, Schuster spent several years in Japan for his work. It was there that he had his "beer epiphany." He and his wife visited a brew pub, where they had an amazing pairing of high-end beer and cheese. It was then that Schuster decided to pair his love of beer and his years of developed marketing savvy to launch his own brewery back in the United States. But first, he needed to save up for the investment. He requested a work transfer a few years ago and moved his young family to the Bay Area. By 2011, Schuster was ready to fulfill his dream and he launched Schubros Brewery in San Ramon. Schuster says what sets Schubros apart is its radical philosophy that beer is an even better partner to food than wine. 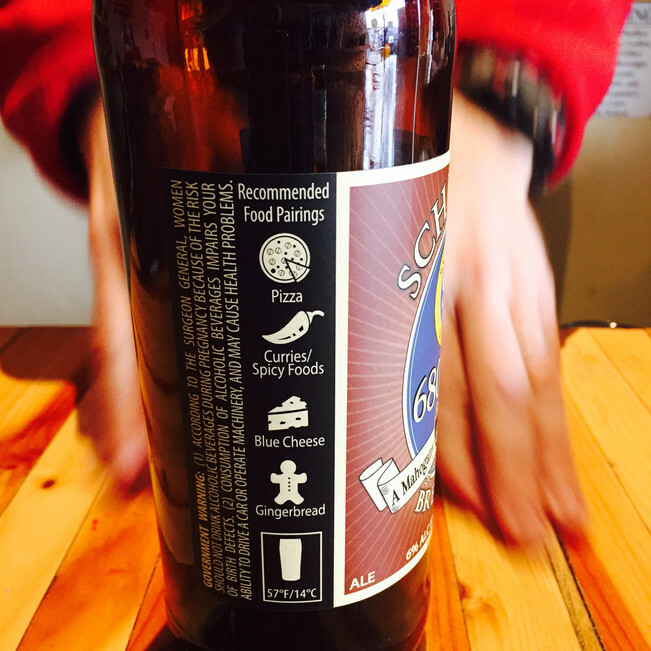 In fact, each of the "Core Four" Schubros beers includes a list of suggested food pairings on each bottle label-- an homage to Schuster's "beer epiphany." Schuster is a man who appreciates subtlety and his beer offerings show it. He prefers a more nuanced saison to all the trendy, hopped-up triple and quadruple IPAs that try to "out-muscle" each other. His Core Four lineup of brews that are available year-round are the Nico Wheat, a light caramel-flavored little number; the 680 IPA, a classic mahogany-colored IPA; the Diablo Dark, a mix of chocolate, caramel and coffee notes; and Las Trampas, a crisp and malty pale ale. In addition to the Core Fore, Schubros offers seasonal brews, the Passport Series and the Ship to Shore series (named after battleships). Our favorites were the refreshing Las Trampas pale ale and the sweet BB-9 Pineapple IPA from the Ship to Shore series. Both are available at the Schubros taproom, so head on down before they run out. Hours: Wednesday-Friday 4–9 p.m., Saturday-Sunday 2–7 p.m.
Price: All pours are $6. They also fill kegs. Schubros Brewery and Fossil Fuels Brewing Company have partnered to create 45 Million, a beer brewed from 45 million-year-old brewing yeast. Read about it here. You can score a bottle at BevMo for about $26.